The “Box of Crappy Surplus”, or BOCS, is a fun, community building experiment based on The Great Internet Migratory Box of Electronics Junk for Netduino community members. The premise is simple, as electronics enthusiasts, makers, tweakers and tinkerers we all develop small stockpiles of near-worthless junk. Not trash mind you, but the miscellaneous bits and pieces of projects long forgotten and put away. A handful of screws, the wheel bearings that didn’t quite fit your robot, the bag of resistors that turned out to be not quite the right value. If anyone is as much of a pack-rat as me you likely have boxes of this type of stuff, too wasteful to throw away, too few to try selling on eBay. The BOCS is, as TGIMBoEJ puts it, a ‘mobile lending library’ of components. Unlike some other similar boxes we’ll provide slightly more structure. The goal is to send the box in multiple loops, back and forth across the USA. Each person who registers will receive the box in random order, and be responsible for sending the box to the next person. Flat rate boxes from the USPS keep shipping costs to a minimum and there will be no other costs to participate. Cost for a medium sized box will be approximately $10.50 and supports up to 20 pounds, labels can be easily printed from the USPS website. If the box grows too large we’ll need a ‘large’ box which will cost closer to $15.00 to ship domestically. What can I expect to find in the BOCS? What should I put in? The ‘theme’ of the box is electronics and general ‘maker’ materials. Resistors, switches, buttons, wires, wheels, screws, gears, integrated circuits, small hand tools, interconnects, and who knows what else are things you could find in the box, plus anything someone along the chain thinks you might find useful. I’d prefer people use their imagination and put anything they thing another maker could find useful in the box than to create a list of ‘expected’ items.All USPS regulations regarding priority mail service should be followed, and common sense should be used. Let’s avoid batteries which could short out, liquids which could spill, and things of that nature as we..
How much can I take from the BOCS? How much must I contribute? There’s again no particular rules here. A sheet will accompany the box that we ask all people to briefly note what they took and contributed. A general rule is to replace what you take with something equally “cool”. I think if we all concern ourselves with monetary value of items then the point of the box will be lost. If you think you can use the item, or a few items, take them. We want this to be a community project so we do ask that you update us regarding any cool things you build with box items. Who do I send the BOCS to when I’m done? To try and maintain some semblance of privacy, each person will receive via email the address of the next person on the chain. 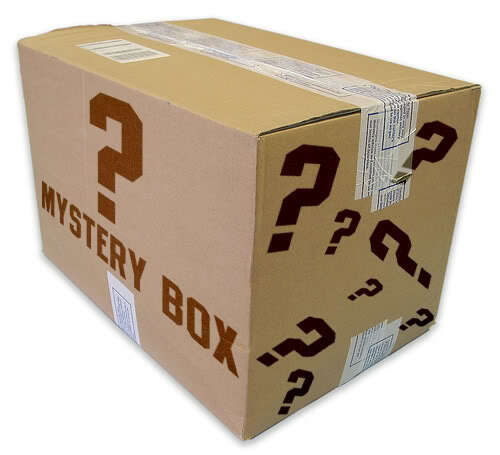 We’ll also try and confirm all addresses prior to shipping to reduce the chances that the box is “lost” at an out of date address. Okay, I want to participate, what happens next? We’re (mostly) keeping it to Netduino community members. Visit this thread to look for any updates to the rules. Send me a private message via the forums with your mailing address. Your address will only go to the person who sends the box to you. What do I do when I receive the box? First, take some free stuff! Try to only take items you think you can use, and the key here is for everyone to take what they think is fair. Put some items in the box that you no longer need. The items can be anything ‘maker’ related, can be new or used, so long as they’re functional. If there are multiple parts to a single item make sure they’ll stay together by using a small ziplock bag. Make sure to label what the item is if it’s not obvious, might as well throw your screen name on the label so whoever receives it knows who to thank! Update the box status, use the same forum thread you used to signup, that’s where we’ll update community participation. Or contact me directly and I can do so for you. This is about community building, so let us know what items you kept and what you have in mind for them! Finally, check your email/forum PM’s/whatever, I’ll have sent you the address you’re meant to send the box to next. If I didn’t, make sure you ask, we don’t want the box to get stuck or lost. Print a label at USPS’s website, slap it on the box, and bring it to any post office. That’s it! If all goes well will do this multiple times, growing the list each time. We’re limiting this first round to personal friends, and Netduino community members. Anyone with positive or neutral forum standing who has been a member for at least 60 days can ask to be on the list. The first 20 members who asked to be included will be on this initial round.